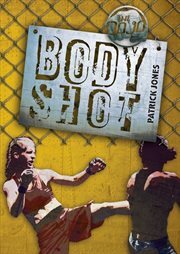 The item Body shot, Patrick Jones, (electronic resource) represents a specific, individual, material embodiment of a distinct intellectual or artistic creation found in Austin Public Library. Meghan lived through the car crash that killed her mom, but it left her with injuries that ruined her school sports career. Now she's the dojo's toughest female fighter. She just has to avoid getting kicked out for her pain pill habit. As her first amateur fight approaches, Meghan will have to decide if she's ready to move on from the crash and the secrets. Can she find the courage to choose her moves wisely-inside the cage and out?